Free pianos for worthy homes! 12 Comments on Free pianos for worthy homes! Want to nominate a good cause for a magic move? We were contacted by several nice people wanting to donate unused pianos – so we found new and worthy homes and transported the pianos to them for free! It was a win-win for everyone, so we teamed up with our friends at Preloved and decided to do lots more! Watch our video and share with anyone that could be interested! Winchmore School, a secondary school in North London with over 1,200 students, had a broken piano in their main hall and not one fully functioning piano in their music block. With the first 3 years taking part in compulsory music lessons – a new piano was a must! 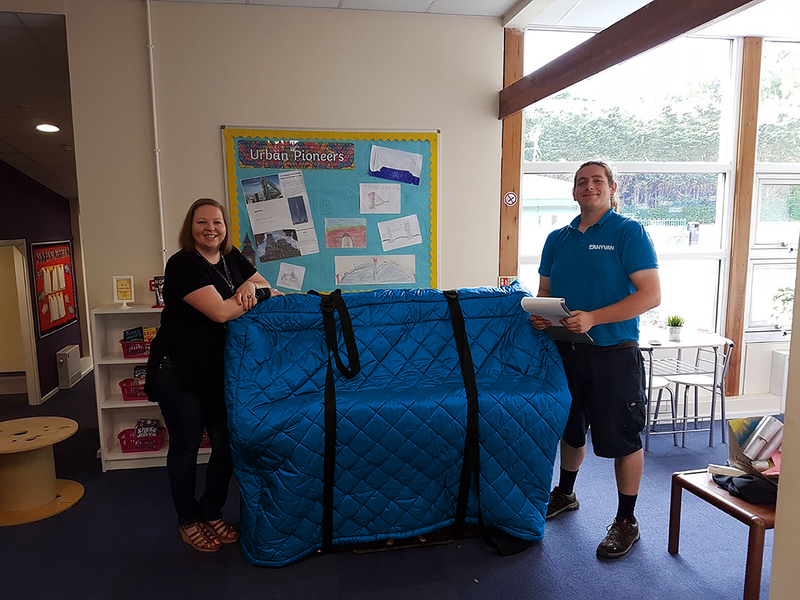 The Assistant Head of Pemberly Academy had heard about how our Magic Van piano project had helped another local school in the area brighten up the music department and got in touch. She told us how the school was only opened in 2015 and that they were still building up their resources. A piano wasn’t currently on the board’s shopping list and it would be a blessing for the school. Ashmole Academy is a newly opened primary school located in Southgate, North London. We were put in touch with the head of the music department who were thrilled at the opportunity to receive a free piano. 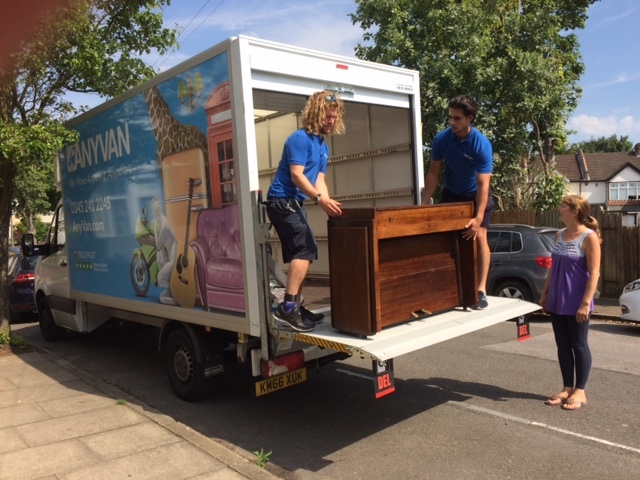 The dementia wing of the Ryelands/Brooklands residential care home in Beddington Gardens had been offered an upright piano to be used for or on behalf of the residents, but they had no way of transporting it from Kenley to Wallington. The management team believed that the piano would be beneficial for the wellbeing of the residents to have a piano for music therapy, music events, in-house church services and general entertainment. 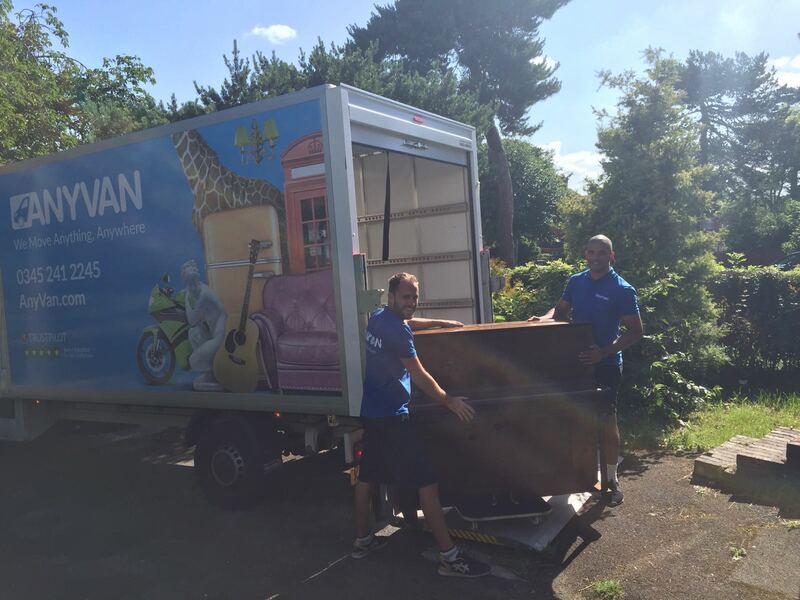 This is when Mr Webb got in touch with the Magic Van team here at AnyVan. 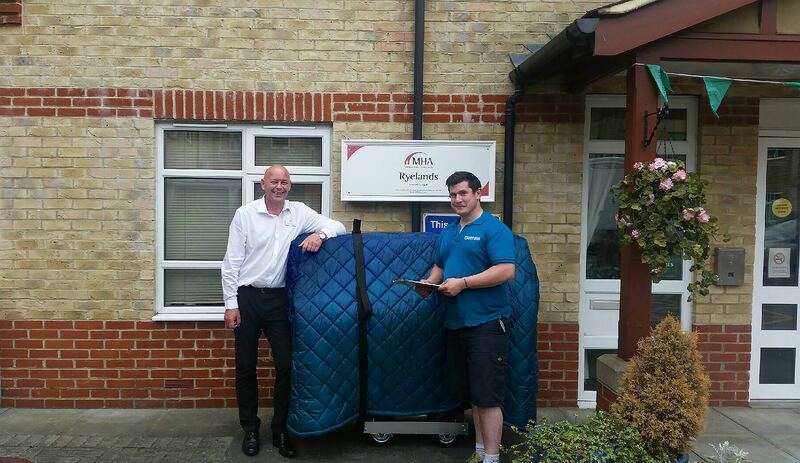 The piano was picked up and delivered to the Ryelands residential care home in May to the awaiting residents. We hope the arrival was music to their ears! I have a piano needing a new home. It would be wonderful if it could be used elsewhere. I live in Whitstable, Kent. Do you collect from this area? CT52HB. I have a piano needing a new home but unfortunately urgently. any possibility harrow/brent? HA1 3ud3UD. I have a piano, it’s old but modern. (Bentley) a little damage..would be a shame to scrap it..hope you can help..Wrexham N Wales.. I am a doctor working at Bodmin Hospital in Cornwall. It is a mental health hospital, and we would love to have a piano for our in-patient general adult ward. Would you come down this far? The postcode is PL312QT. Good morning, Jennifer. Thank you for your comment. Could you please email us at magicvan@anyvan.com to discuss? We look forward to hearing from you! Kind regards. I live in S/W England on the Devon/Somerset boarders, l play piano in nursing homes for spiritual encouragement to those mostly forgotten in our busy lives. I now find myself in need of something in this life to fill a large hole in my heart, as after 46 years my wife has suddenly passed away, leaving me with on my own, but thankfully with wonderful children and grand children to share love with. I have decided to look for a flat grand piano to help me enjoy being at home again, and spend more time playing the piano for my own emotional/spiritual healing as l do for others. Consequently, in my search, l came accross this site, and wondered if there was a playable Grand P, but not so worried about the furniture condition, more tone and its touch! I could offer a good home, collect, even pay for the right instrument. I would love to hear from anyone looking to part with one. Good morning, Philip. Thank you for reaching out to us. Could you please email us at magicvan@anyvan.com to discuss this in more detail? Thank you! hope to hear from you in the near future. Hi, I’m in Wrexham and we have an upright piano to give away. It needs a pedal looking at and has various scratches from over the years, but if someone could use it it would be a shame for it to go the dump. We’d like to move it out of our house asap with a growing family and lack of space. Hello….I’ve just read some of your stories and I’m wondering if anyone would be able to help. I’m not a charity, an institution or anything else so worthwhile; I’m a mum of three. My oldest child is 15 and has recently started having piano lessons with a very understanding teacher. She ( my daughter) is mildly autistic and suffers with massive social anxiety so is often unable to leave the house, but has really been enjoying the lessons she has been able to attend. I have been looking for a free upright piano in the south west, having budgeted around 120 pounds for transporting and tuning on delivery. Unfortunately, I’ve had no luck so far and Christmas is fast approaching! I was hoping with your contacts that you may possibly be able to help me with any people or places that may be able to help? I understand if that’s not 0ossible, but I’m forever optimistic!